This car is big news. 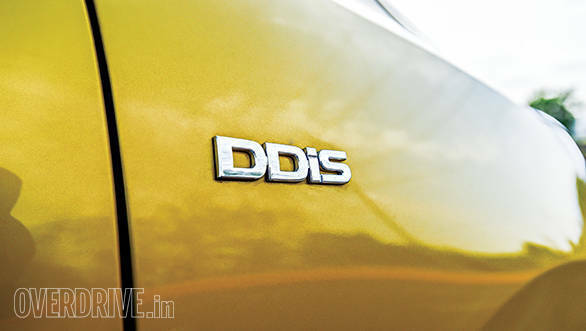 Not only is the Celerio among the most affordable diesel cars in India but its indigenously developed two-pot DDiS engine is the world's smallest production engine. At the same time, it doesn't sound very convincing on paper - a 793cc twin-cylinder, eight-valve turbo diesel that puts out a meagre 47.5PS and 125Nm. But couple that with a car which weighs just about 900kg with all the bells and whistles, and the engine begins to make a case for itself. Start up and you will hear the unpleasant sound of a typical parallel twin engine. It has a rhythmic knocking tone to it, much like the Nano. But surprisingly it isn't as loud despite being a diesel unit. It settles into an idling rpm of around 1,000. As you start accelerating, the knocking tone turns into a gravelly note. 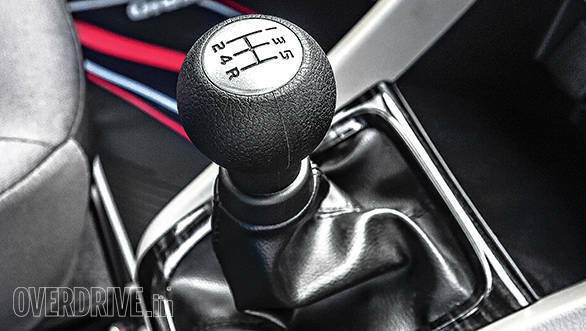 When you are cruising at around 100kmph though, which is about 3,000rpm in top gear, the engine sound settles down into a relatively silent wheezing note. It sounds almost like a three-cylinder motor at this point and feels unstressed. Getting off the mark seems sluggish. But if you are running a full house and with luggage in the boot, you will feel the turbo lag. The turbo boost kicks in at a little over 2,000rpm and between 2,500 and 3,000rpm, you will get into the meat of the torque spread. Performance is understandably relaxed with a 21.9-second run to 100kmph and a top speed of 130kmph. However the mid-range feels quite healthy and is perfect for city commutes. You can carry out most of the city driving chores in third sometimes even fourth gear. Anything crossing 4,000rpm has the engine feeling flat and out of breath necessitating a drop or two in gear for pulling overtakes or climbing flyovers with four onboard. With two people and a suitcase in the boot during our test, the Celerio did not run out of breath for most of our journey in a typical urban driving cycle involving stop and go traffic, a few inclines and some relatively quick stretches. 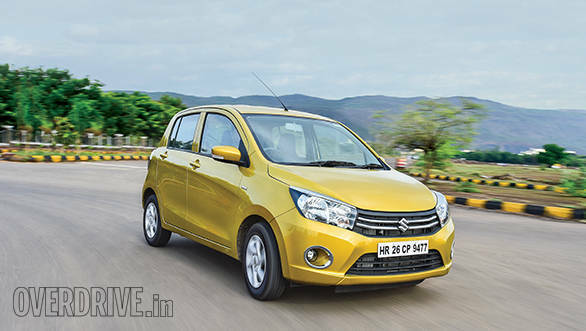 With a claimed 27.62kmpl, Maruti Suzuki calls the Celerio diesel the most fuel efficient car in India. Naturally our test figure wasn't quite as high but we still got 19.1kmpl in the city and 27.2kmpl on the highway. That results in a hugely impressive overall figure of 21.1kmpl, which makes it one of the most efficient cars we have ever tested! Even with the throttle firmly planted we couldn't get the on-board readout to show less than 15.2kmpl. The compact nature of the motor means that there aren't any major modifications inside the engine bay. There is no change to the track either or the 4.7m turning radius. The diesel engine does add about 70kg to the kerb weight. 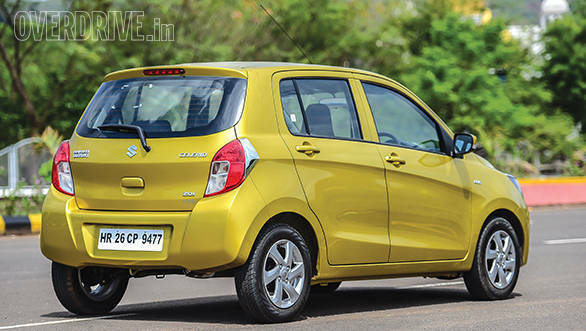 Slight changes have been made to the suspension to accommodate the additional weight, but there is no alarming change in the Celerio's road manners. There is still a fair bit of body roll and we found the ride quite comfortable. The steering is well weighted and quite direct - a good operator both in the city and on the highway. 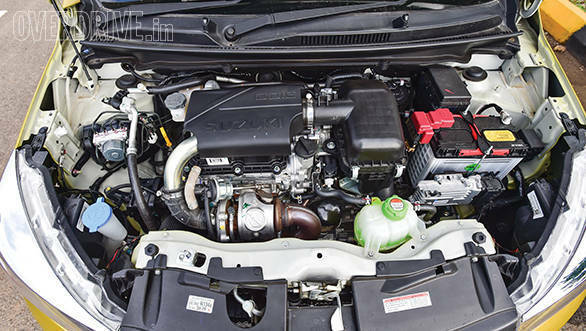 Visually, the Celerio diesel remains largely unchanged from its petrol or CNG counterparts. The only way to tell are the DDiS and the variant badges. ABS is offered as an option in the top-spec ZDi trim. The top trim can also be spec-ed with driver and passenger airbags. Quality, however, in some areas, leaves you wanting for more. The rear wiper on our test car wasn't working and the audio system hung everytime we tried to connect a phone to it via Bluetooth. But we later understood that if you go into the Bluetooth menu none of the other buttons on the system (including the power button) work until the phone is paired which initially gave the impression of the system hanging. Finally, we discovered that the entire squab of the rear bench came loose with a light tug and that the plastic locks that hold it to the metal body refused to click back in place. The features and creature comfort options however remain the same as the petrol counterparts which is quite generous. The diesel variants are about Rs 75,000 dearer than the corresponding petrol variants, which seems slightly pricey for the lower variants. But with the lack of decent diesel options in the sub-six-lakh-rupee bracket, you could either settle for a base-spec Grand i10, Chevrolet Beat, Tata Bolt or Nissan Micra, or look at a top-spec Tata Indica eV2 or the Celerio ZDI (O) you see here. We'd go with the latter.